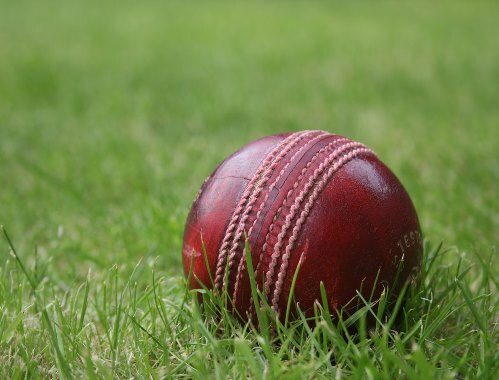 Uckfield Anderida 1st XI were skittled at Pevensey while the 2nd XI snatched a dramatic win against Tunbridge Wells, writes Tom Grimes. Uckfield played at Pevensey on Saturday on a warm pleasant afternoon. The new skipper, Matt MacCallum, sadly lost the toss and Uckfield were duly invited to bat on a very green, soft track. After losing Spice early, Burns and Tungate looked to rebuild. They both struggled on a slow low wicket that offered batsman nothing and on an equally slow outfield runs looked hard to come by, with runs outscoring overs maginally. The Pevensey openers finally finished their tight but unfruitful spells and the Uckfield batsman decided to try and push on. Burns fell to a good ball bringing in Turner to try and push things on with Tungate. However the slow run rate built pressure on these two and both fell shortly within a few minutes of each other. The skipper looked to try and rebuild with the tail but witnessed the Pevensey skipper remove the lower order with aplomb … leaving him stranded at the non strikers end and Uckfield were bowled out for 54. As the sun baked the wicket it was clear the track was improving but Uckfield felt they could still take something from the game, and did so early with Chris Brady and Anthony Muggeridge bowling tight and forcing the Pevensey openers into their shells on an obviously still difficult wicket. Pevensey’s Neil Hatcher came in looking to play his shots and did so finishing 29 not out as Pevensey reached their target with the loss of just 3 wickets. Meanwhile the 2nd XI had a much closer game against Tunbridge Wells at the sweltering Victoria Ground. Having lost the the toss and inevitably been put into bat, Uckfield lost both their opening batsmen early. However, with a guest appearance from Ryan Moore, batting at number 4, and the welcome return of Richard Coates to Uckfield batting at number 3, Uckfield fought back superbly on a tricky, slow wicket with variable bounce. Ryan scored an excellent 117 before heading off to get married the next day, and in truth Uckfield would have been sunk without his runs, closing on 168 for 7. At tea then, Uckfield felt they were well in the game and so it proved, as they took early wickets to get Tunbridge Wells 4 down for just 46 runs. However, some superb driving from Dawkins got them back in the game, reaching 132 before he was unlucky to be bowled by one that kept very low. The pressure then came on and wickets fell at a steady rate, with Vyas bowling superbly. Tunbridge Wells needed 18 runs with 2 wickets remaining – the game was finely poised. But Vyas struck to get both vital wickets, completing an exciting win by just 4 runs in front of a good crowd in the setting sun. Next week the 1st XI welcome Polegate & Stonecross to the Victoria Ground on what they hope to be a better day for them, and the 2nd XI travel to St Peter’s, Brighton.